Hello fellow songsters and students! 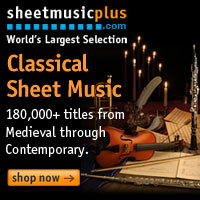 Welcome to the music notation and terms page. This page will teach you the foundation on which most, if not all song is formed. I will also be showing you how to read music notation and how to dictate basic rhythms essential in most private lessons and public classes. Let's start off with some terms that all a future master should know. This will come into play with the examples I will demonstrate later. This terminology is essential in developing an understanding of primer material. 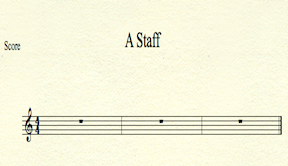 Staff- As shown, a staff is a five line graph on which notes are put on various lines and spaces between the lines. Each line and space represents a letter of the musical alphabet A through G. A mix of notes of many different rhythmic values could be present here. In most non-pitched instruments, there is a one line staff on which various values of notes are written. Grand Staff- This is common in piano. The two symbols that denote each staff are the treble clef and bass clef Although, it is quite possible that other clefs (such as moveable C clefs and various other combinations are possible. 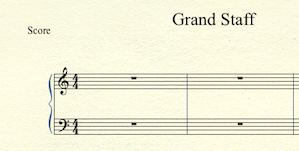 The grand staff makes it possible for instrumental players to use both hands to play two staves simultaneously. Scale- A sequence of notes played in succession up and down that rests on a common home note (tonic). Scales could be major (happy sounding), minor (dark or sad sounding), augmented (stretched) or diminished (caved). Octave- An octave is a figure that spans twelve steps between a starting note and an ending note of the same exact note. The pitch could be higher or lower. Musical Alphabet- This is the essential first part of distinguishing one note from another by name. Notes are named from A through G. After G, they always go back to A.
Note- This is a basic symbol of musical notation that lets the instrumentalist or vocalist know the value, or how long to play the symbol written on the page. The various types of notes are listed and explained by definition below. Notes are normally written on a staff. Rhythm- This is a special pattern that is played by clapping or by playing a musical instrument in what's called time. Rhythm is one of the five basic elements of music. Rhythm is depicted by using notes of different values to create a groove that every other element will rest on. Quarter note - A quarter note is a written symbol that has a downward or upward stem and a black filled in oval. In a measure of 4/4, it gets one beat and there are four quarter notes in the measure. Half note- This is a written symbol that is notated by an upward or downward stem and an oval that is not darkened or filled in. It is clear. In a measure of 4/4 music, one of these notes take up two quarter notes (Remember: the quarter note gets the beat) and two of these take up an entire measure. This is a lot of content, but it is essential material for a instrumentalist or vocalist who intends to study seriously. For music majors, let this be a great starter course for you to get a grasp on the basics of music notation that give way to much broader musical topics. I will be adding more to this page for those of you who need more help in topics that aren't yet presented here. Click the link for information on free and paid music notation programs for music students and teachers. For a look at music theory and notation, go to the basic music theory page. Also, there is a page breaking down the concepts of counting basic music as well as a small preview of an E-book I'm writing related to this subject. Click the link to the Time Signatures page to learn more about this. Click here to go back up to the homepage.